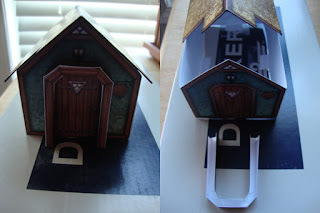 When I downloaded a bunch of free files off of Drive Thru RPG there were several paper models in with the rest of the files. 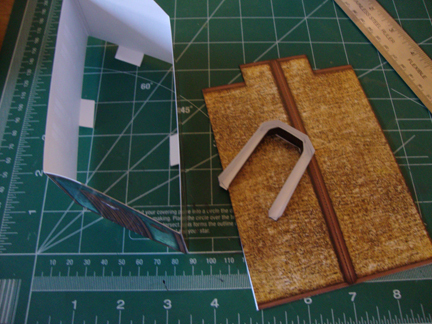 I've put together a few models in the past and I'm....."OK" with assembling paper models. 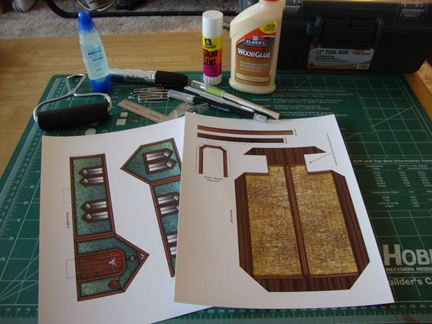 Paper models can be quite challenging, but the effort is usually worth the reward. There are a lot of great paper model manufacturers out there, and I've recommended some in the past. 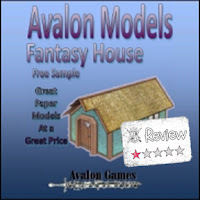 Unfortunately Avalon Models (Avalon Games), as represented by their free sample Fantasy House, is not one of them. 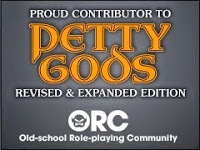 I hope that this is just a bad example and not an accurate representation of their models. I started out by having the two pages of this model printed up on cardstock. This was my first taste of what was to come. The file containing this model is 13 pages long.....13! Obviously the majority of this file is ads for Avalon Games, which is understandable....to a point. The instructions are another two pages, but really are less than a page in length, with the rest of the page containing a parts list and a huge Avalon logo. Cutting out the model was easy enough. It was somewhat apparent right off that this wasn't going to go together well. 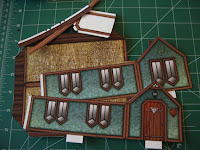 The house is held together by two glued tabs, which is sufficient, but there was no base, just four tabs to put it on a base of your choosing. This is great if you want a different base than what is what was provided, but you'll need to square it off on your own. The roof just sits on the thin line that is the house's four walls. There is nothing to secure it. The same goes for the optional front door frame. The three pieces of the door are fiddly enough to begin with and if you manage to put them together you are still lacking some mechanism for fastening the door from around the door. There are no tabs to glue or insert. Unless you want to try and glue the fine edge of the door frame or simply fill it up with glue and press it against the door, you are pretty much out of luck. I ended out mounting it on a piece of cardboard from the recycling bin. Overall I spent less than $2 on this model, along with an hour (?) of my time. The finished house is not that great, but I will admit that I had not bothered to finish the edges. I would not recommend people spending their time & money on this particular model. 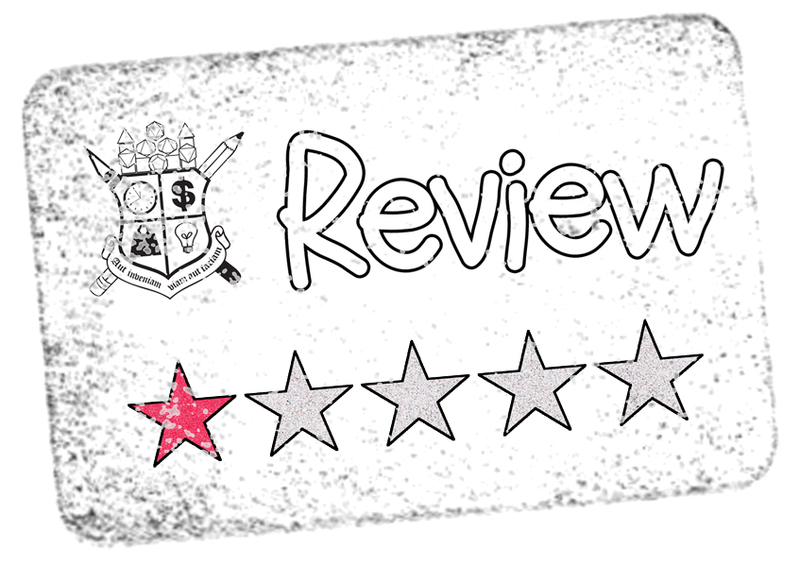 Writing a negative review (I don't consider 1 star remotely positive) isn't a fun thing to do, but neither was putting together this model.